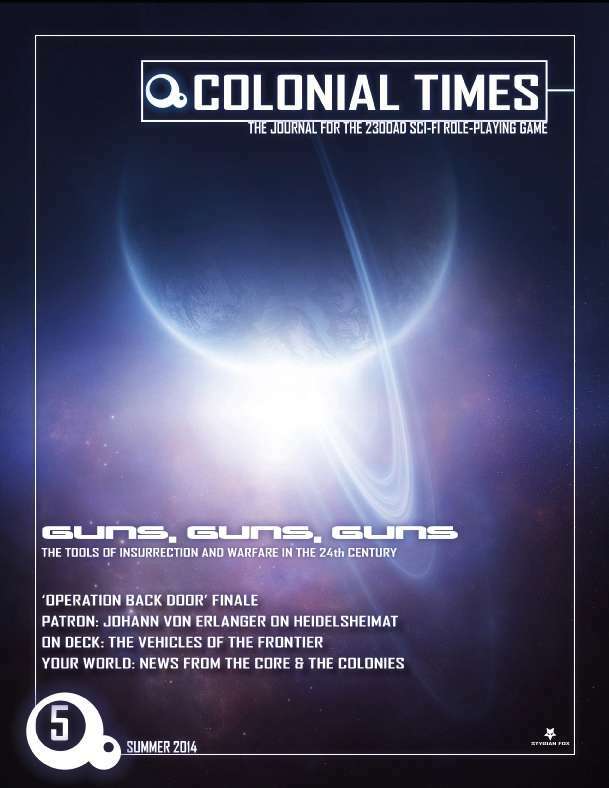 Colonial Times is the magazine for the 2300AD RPG. issue 5 contains gun listings, vehicles, the end of the Operation Back Door campaign, and more. This title was added to our catalog on May 31, 2014.